I read this article and found it very interesting, thought it might be something for you. 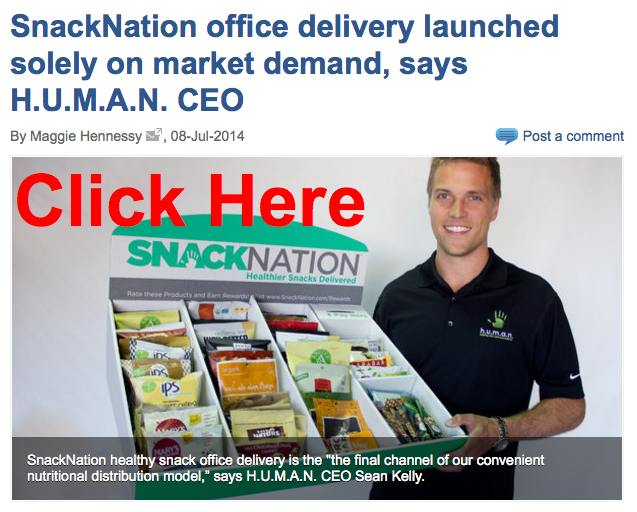 The article is called SnackNation Office Snack Delivery Featured in Food Navigator and is located at http://www.healthyvending.com/blog/snacknation-office-snack-delivery-featured-food-navigator/. If you’ve ever worked in an office environment where there were either no snacks on hand or simply snacks you wouldn’t touch with a ten-foot-pole, you’ll appreciate the service that’s transforming how people snack at the office. SnackNation, HUMAN’s healthy snack delivery service, is changing the way we snack at the office. In fact, CEO Sean Kelly recently chatted with Food Navigator to discuss SnackNation’s growth in the business-to-business market and how this is changing the model of food distribution. SnackNation offers snacks to please the diversity of office snackers. 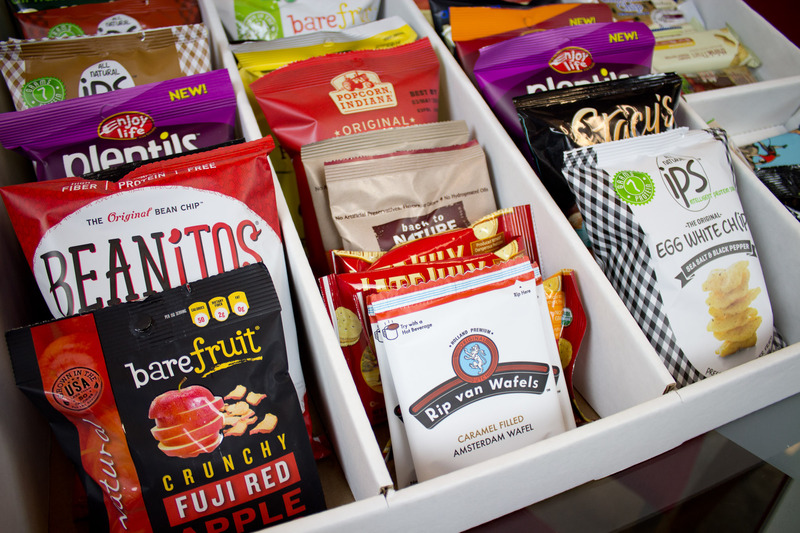 SnackNation rotates its products so that people get to try new snacks each month, while also keeping staple office favorites consistent in the delivery. The range of snacks offered aims to please a diverse range of preferences so that even the most health-conscious and the most finicky snacker will have something they enjoy. Consumers are snacking more than ever before. 50% of meal occasions in the U.S. are now snacks-based. Culturally, we’re becoming more accepting of the value that nutritious snacks can provide, whereas before the word “snack” alone had a negative connotation. For HUMAN franchisees, SnackNation provides the opportunity to provide value to a breadth of locations that might have otherwise not been viable for healthy vending machines or micro markets, and to generate recurring revenue from such services. 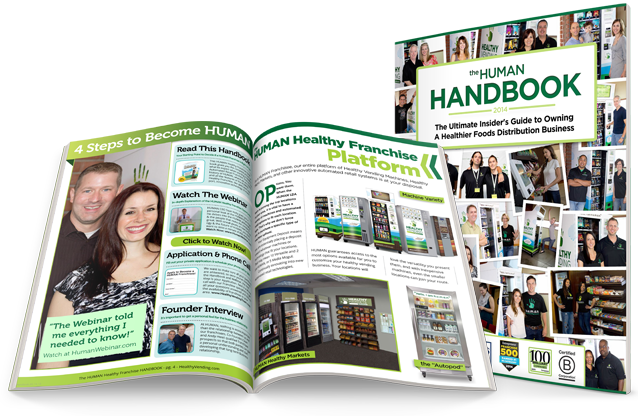 Are you interested in learning more about how SnackNation benefits HUMAN franchisees? For information on having an innovative snack delivery service, a healthy micro market or a healthy vending machine at your location, or please click here. What would you like to see offices do to improve employee nutrition and employee engagement? What do you think is the next step in making easy access to healthy snacks a reality for everyone?